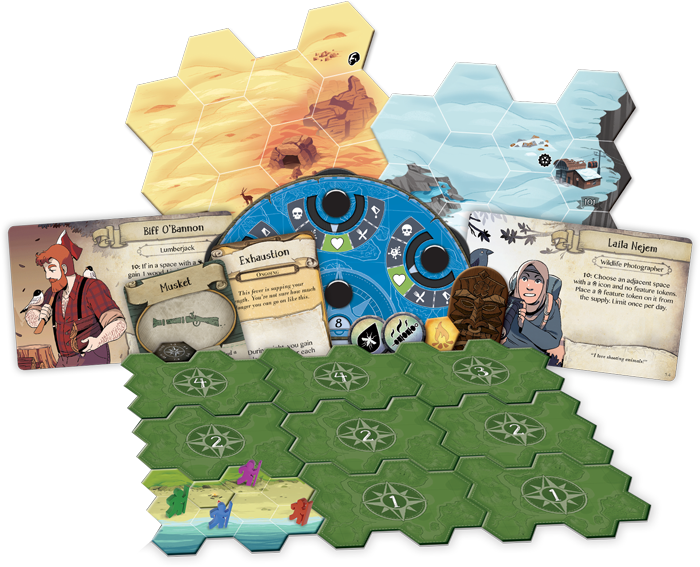 Every game of Discover: Lands Unknown sees you playing through one of the five scenarios included in your game. Like many other components, these scenarios and their storylines are randomized, drawn from a vast pool of possible components—but as part of a set of scenarios, you can know that your adventure will form a cohesive whole. 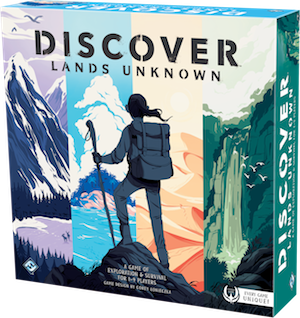 When a game of Discover: Lands Unknown begins, the wilderness around you is unrevealed. You'll have to brave its mysteries to have any hope of returning home. What Makes Discover: Lands Unknown Unique? Discover: Lands Unknown is a new adventure for Fantasy Flight Games, joining KeyForge as one of our first Unique Games. What is a Unique Game? It's an entirely new type of game! Unique Games can take many different forms, but they share one thing in common—every copy of the game is unique. The copy that you pick up off the shelf will have different components than the copy your friend gets at their store. While mechanics and some common components like meeples will be the same in every copy of Discover, the vast majority of the cards, tiles, and tokens in your box will be randomized, selected from a vast pool of possible components. When you open your copy of Discover: Lands Unknown, you can never be sure what you'll find inside, and the combination will be different from every other copy in the world. In other words, Unique Games aren't like Legacy Games, which start with identical components, but become unique through gameplay. Unique Games have their own distinct mix of components in every box! 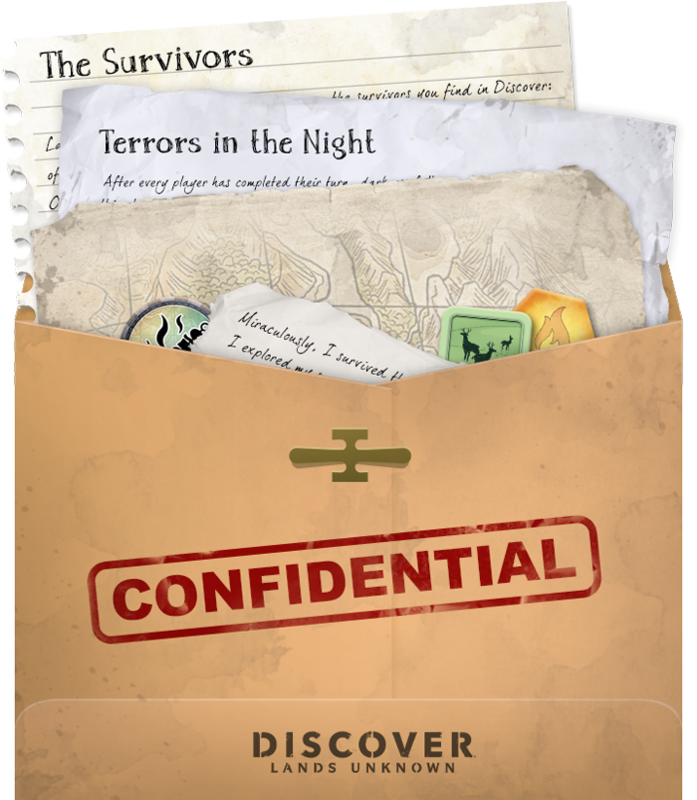 Everything that you encounter on your adventure, from your pool of survivors, to the enemies that you encounter, to the tools at your disposal, to the very environment itself, can be changed, with every copy of Discover: Lands Unknown presenting an experience unique to you. While some groups will find themselves marooned on a desolate island with mysterious creatures roaming the night, others may be trapped in the mountains, just trying to stay warm enough to survive.